Dirt bikes need regular maintenance to ensure optimum performance and longevity. Each brand is different, so it is important to refer to the service manual for your particular bike. 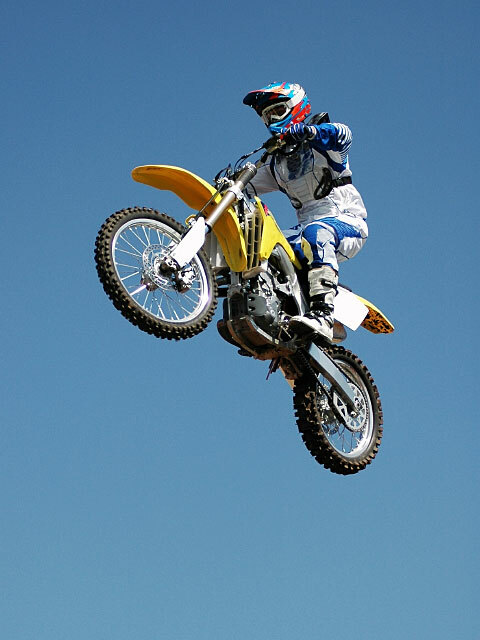 There are specific areas on every dirt bike that should be checked regularly to keep the bike running smoothly. These areas include the oil, air filter, tires, wheels, brakes, and carburetor. The oil needs to be changed much more frequently on a dirt bike than on a street bike or a car. An oil change should include a filter change, and it should be done based on the schedule in the owner's manual. Doing this regularly with the correct, quality motorcycle specific oil is critical for the long life of your dirt bike. Air filters are subject to an extremely dirty environment. They should be checked often, and cleaned after every trip. Failing to perform this critical procedure will allow dirt to enter, and perhaps damage, the engine. When checking the tires, you should insure that the tire pressure is correct, per the user manual. There should be no cuts in the tires, and their tread or knobs should be in good shape. The wheels should not have any missing spokes, and they should not feel loose or bent when you spin them. There should not be any dents or chips in the rim through which air can leak. It is important to check that the wheels fully lock when the brakes are applied. There should be adequate brake fluid in the master brake cylinders, and the fluid should be clean. Check the brake pads and linings before each ride, making sure they are in good condition. The vent hoses in the carburetor should not be melted or clogged with mud. Check to make sure the throttle cable is not frayed or kinked. A dirt bike's carburetor should be rebuilt occasionally, especially prior to a new off-road season. When disassembling a carburetor, make sure that fluids have not seeped inside the floats. The tip of the float needle should be in good condition, and the air passages at the bottom of the bell mouth should not be clogged with dirt or oil. Washing the dirt bike should be a part of routine maintenance, especially after a day of cross-country biking. You can wash your bike easily with a garden hose, as long as you are careful to avoid getting water into the air box or seals. After washing, you can dry the bike with a towel or compressed air stream. The engine can be started briefly to dry the exhaust pipe, engine, and carburetor. After the bike is dry, it is helpful to lubricate the chain and spray rust inhibitor on bolts and other exposed steel parts. 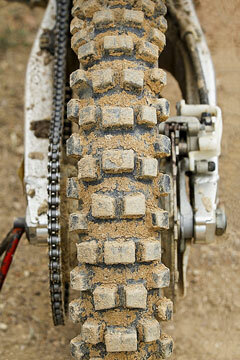 If you find your bike needs work you cannot do on your own, you may need to hire a technician. When choosing an individual or company to service your bike, it is helpful to evaluate the services they offer and their turnaround time, as well as the cost for parts and labor. It is also a good idea to get references from friends and fellow dirt bike enthusiasts. For more information about maintaining your dirt bike, check out these Dirt Rider maintenance tips and tricks.